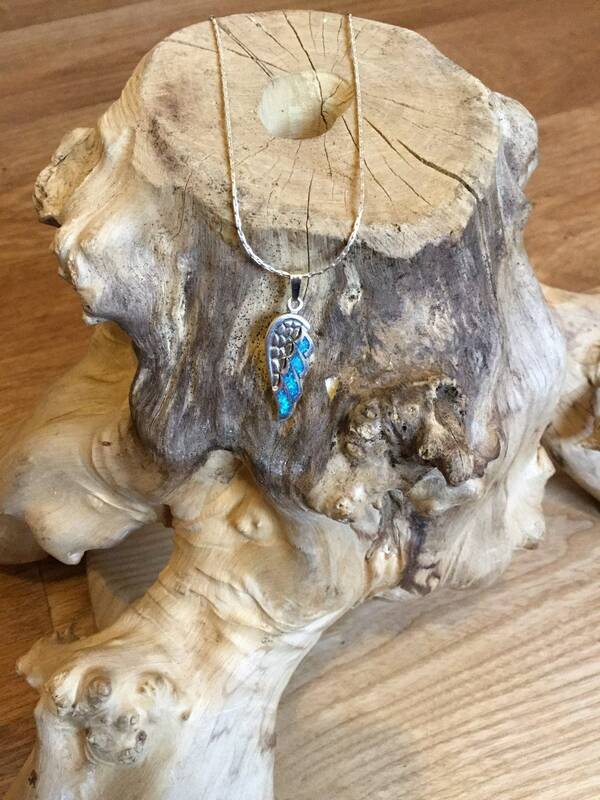 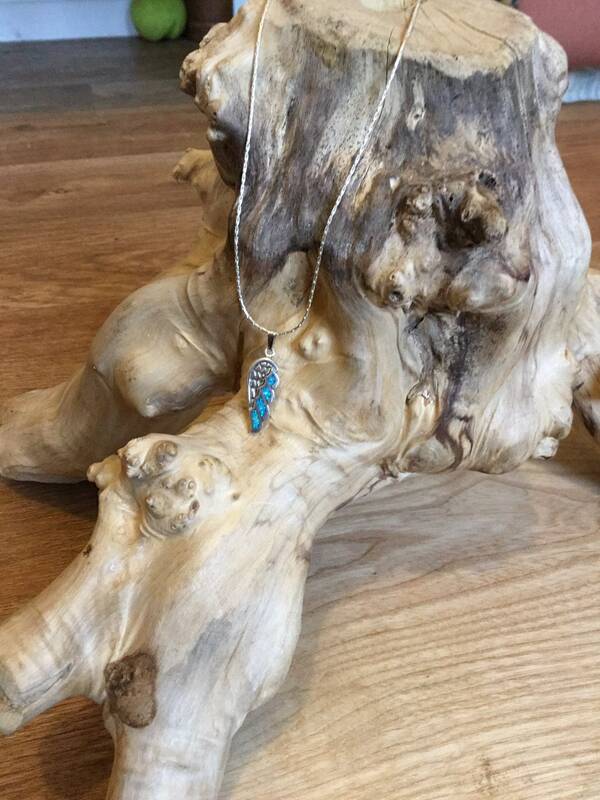 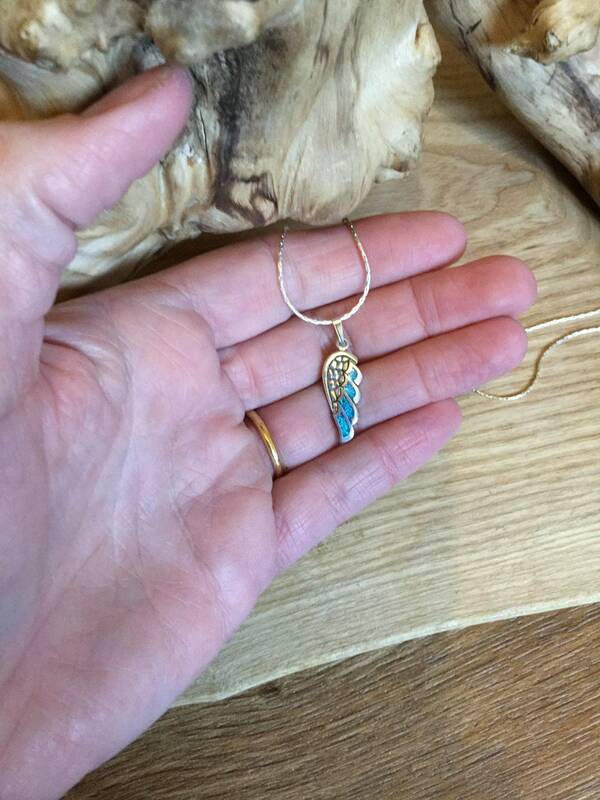 Pendant Drop Inclusive of Loop is 29 mm Long by 9 mm Wide, 4 Pieces Of Blue Lab Opal Make Up Part of The Wing and Finished Slightly Oxidised For Contrast. This Has a Nice Weight to Hang Comfortably, The Opal Captures An Array of Colours. 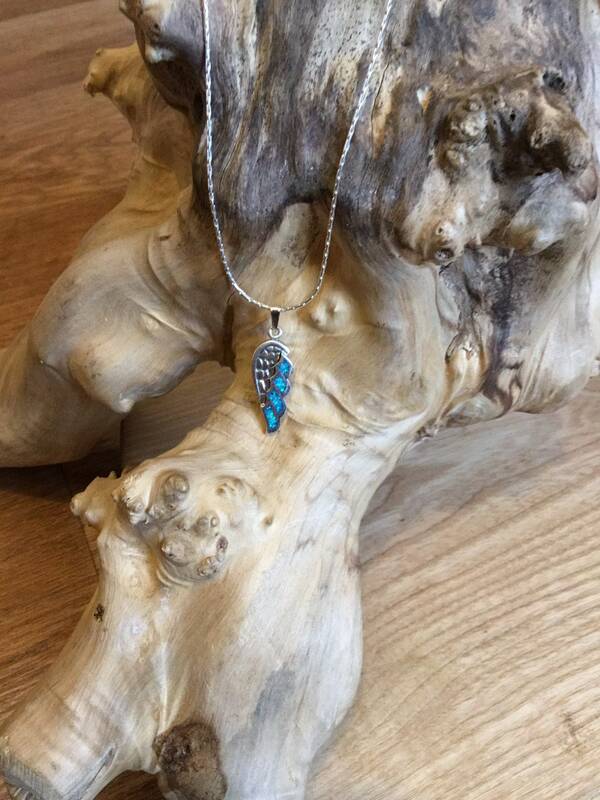 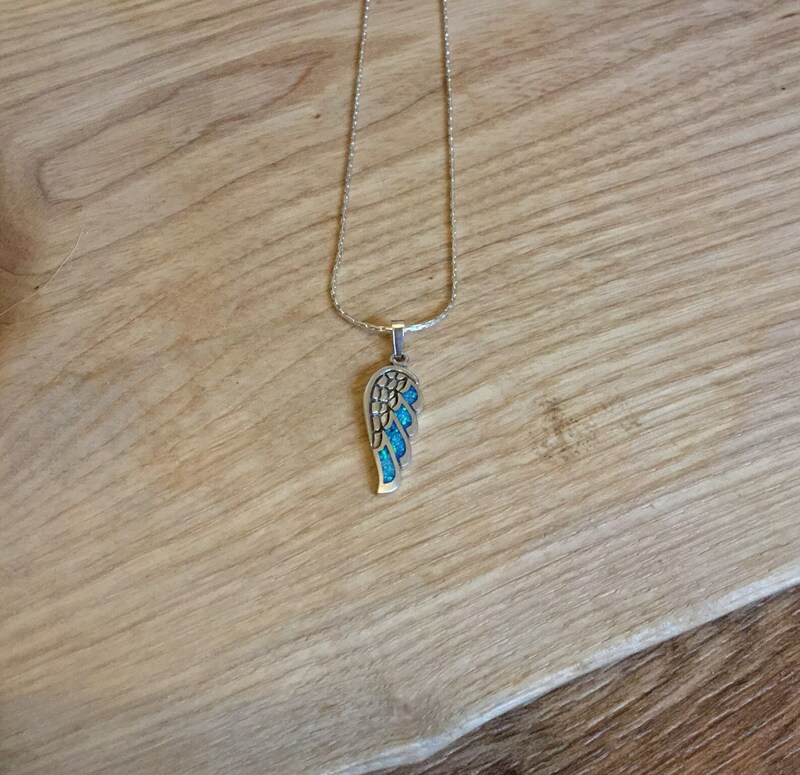 Included is a Sterling Silver 17 3/4 Inch Chain.